If you’re finding it difficult, or even impossible, to lose weight, it’s NOT YOUR FAULT! The Evil Empire is deliberately engineering their food-like products and soft drinks to exploit the pleasure centers of our brains. They keep us craving more – leaving us fat, sick and addicted. Discover how to break their hold so you can lose weight, get more energy and achieve a healthier, happier lifestyle. What do sugar, High Fructose Corn Syrup, type 2 diabetes, metabolic syndrome, obesity, genetically modified organisms (GMOs), processed foods, corporate greed and slavery have in common? It’s time to expose the connections, the price we are paying and what it’s doing to our children. Section 1 – It Begins With Grass – Explores the history of sugar, the beginning of the Evil Empire and the slavery connection both in the past and how it continues today in the exploitation of child labor. Section 2 – Medical – Discover exactly how our bodies process food and how our current food supply promotes obesity, type 2 diabetes and heart disease. Find out why it’s not your fault you can’t lose weight. 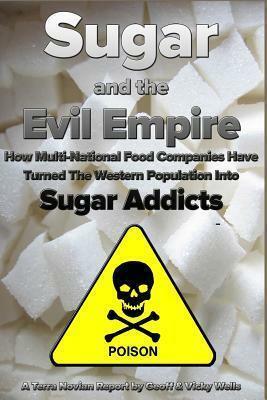 Section 3 – Sugar Addiction – How and why we become addicted to sugar and how to break the habit. Section 4 – Corporate Complicity – Exposes some of the methods the Evil Empire uses to get us hooked on their products with no regard to our health or safety, only their bottom line. Section 5 – Living With Sugar – Is an introduction to a sugar-free, or at least a sugar-reduced, diet. Section 6 – Cooking Without Sugar – A few examples of how recipes can be altered to replace refined sugar with more natural sources of sweetness such fruits, nuts and even vegetables. Section 7 – Recap – Is a brief recap of the entire book with suggestions for additional reading and videos to further explore the subject. It’s time to raise your voice and tell the Evil Empire you’re not going to take it anymore.